Hatchback, Saloon and Estate models with diesel engines. 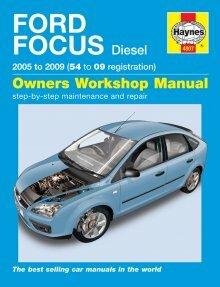 Does NOT cover features specific to C-Max or CC (Convertible) models. 1.6 litre (1560 cc), 1.8 litre (1753 cc) & 2.0 litre (1997 cc) diesel. Does NOT cover CVT, Powershift or automatic transmission.